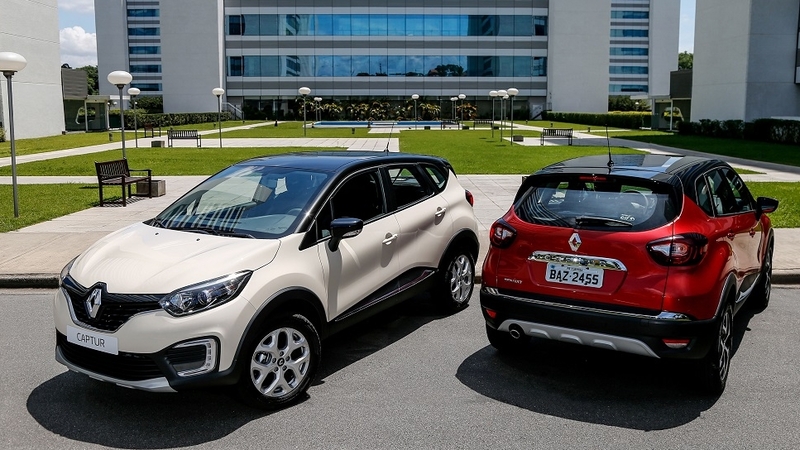 At the 28th edition of the São Paulo Motor Show, visitors will be lured by Renault’s design, which is one of the brand’s strongest values. The Renault Design Latin America (RDAL) developed a selection of novelties for the event. 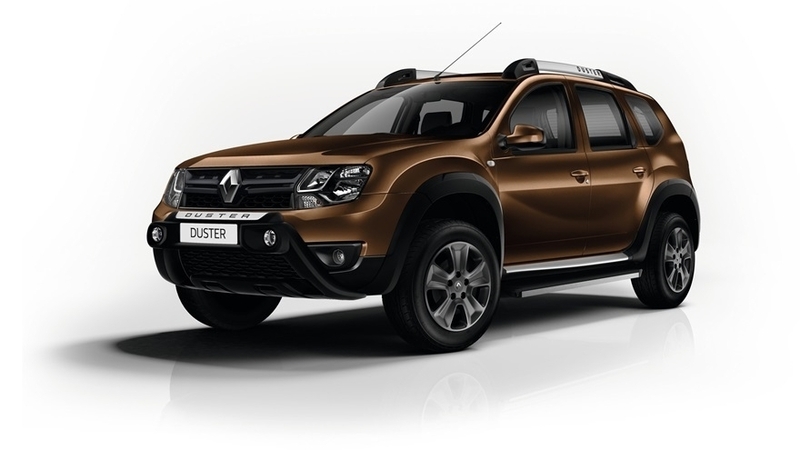 For example, the Duster Oroch show car is a styling exercise of a 5-seater SUV-derived pick-up truck, with plenty of interior room. Aimed at exploring new markets, the KWID CONCEPT was conceived by the brand’s style teams in different countries, under the command of the Brazilian design center. 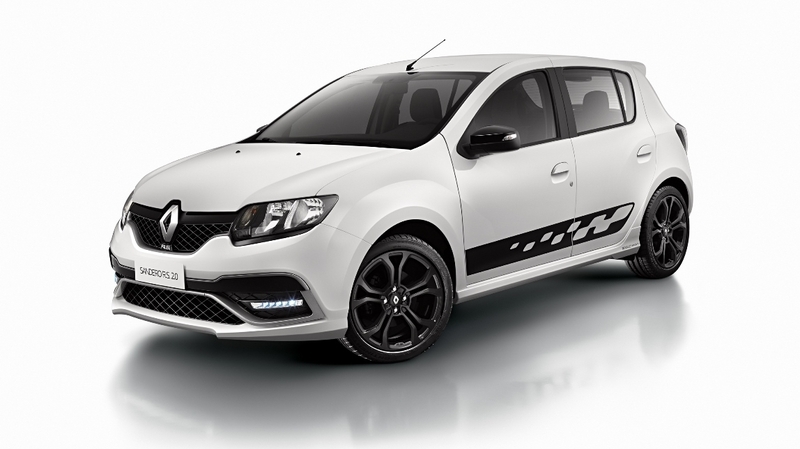 Renault is introducing two models at the São Paulo Motor Show: the New Fluence 2015 and the new generation of the Sandero Stepway. They both have in common a bold design, following the brand’s new visual identity, created by Dutch designer Laurens van den Acker, Senior Vice-President of Corporate Design at Renault. The motorsports zone with the brand’s DNA includes the Mégane R.S. developed by Renault Sport, as well as unit number 12 of the legendary gold and black Lotus Renault F1 95T, with a V6 turbocharged engine delivering 750 horsepower. The single-seater car pays homage to driver Ayrton Senna, who won his first F1 competition with the racecar in 1985, in a historic battle at Portugal’s Estoril circuit. Visitors can also check out the four generations of engines developed and built by Renault Sport F1 that have been powering different teams in its 37 years of Formula One. During this period, the brand’s motorsports division collected an enviable path of victories, with 12 World Constructors’ Championship and 11 World Drivers’ Championship titles. Still in the motorsports zone, Renault is unveiling in Brazil the Twizy Renault Sport F1, the first mass production EV to embed the brand’s technology developed for racetracks. The electric-powered zone emphasizes the brand’s commitment to all-electric mobility, where visitors may check out the brand’s Z.E. (zero emission) range, with the compact city car ZOE and the two-seater Twizy. Renault has already sold approximately 70 units of its Z.E. vehicles in Brazil since mid-2013 and it has a prominent position for being the brand that signed the largest number of public and private collaboration deals for zero-emission mobility projects in the country. With a more sophisticated finish, the all-new Logan Exclusive limited series stands out from the brand’s 2015 range. Recently introduced with the new Logan and Sandero, the EASY’R automatized transmission saves approximately 20% of fuel compared to a conventional automatic transmission with torque converter. Its operation is thoroughly explained to visitors at the brand’s booth. At the Renault Boutique, visitors may buy Renault and Renault Sport merchandise items, such as apparel, personal use items, miniature cars and toys. The Duster Oroch Show Car is a styling exercise of the RDAL, one of the brand’s global design centers, located in São Paulo. It is an innovative 5-seater aimed at leisure activities, with the robustness of an SUV. The show car has a satin white body with touches of orange. Its bold design echoes an adventurous spirit and extreme sports, like kitesurf. The front-end values the brand identity with features previously explored with the D-Cross Concept, a special version of the Duster shown at the 2012 edition of the São Paulo Motor Show. A sturdy front and rear bumpers add robustness and strength to the car. Roof racks are perfectly integrated to the model’s design, while protecting the sunroof that enhances luminosity. A characteristic equipment of pick-up trucks, the roll bar was especially designed to improve cargo bed space and allow transporting kitesurf boards, with added protection to carry sports equipment. Two rear cameras are installed on the outside to remotely capture leisure activity images. Wide-angle lens provide an 80 to 140-degree viewing angle that allow witnessing the exterior world from the inside, thanks to a screen fitted on the inside. 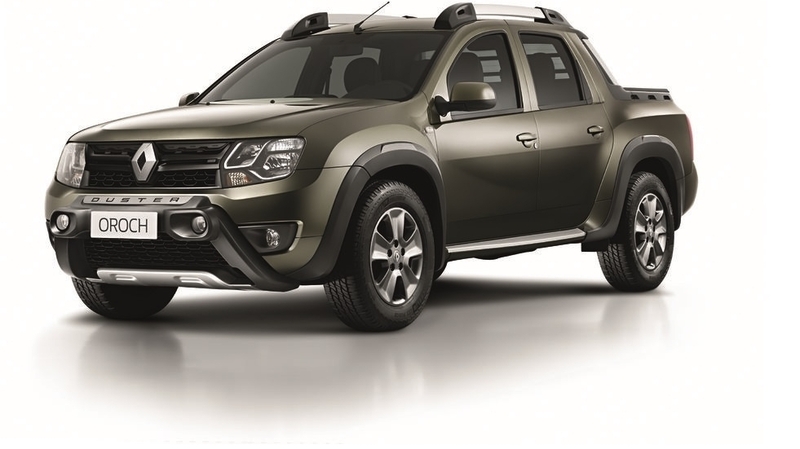 The ample interior room, first class ground clearance, large 255x60 R18 wheels and protective guards make the Duster Oroch Show Car a pick-up ready for any adventure. The dashboard is equipped with a multimedia screen that allows viewing real-time images captured by two cameras fitted on the rear, outside the crew cab. They are controlled by a joystick located next to the front passenger, in the center console. The car seats were exclusively designed with the Cover Carving Technology already seen on the new Logan and Sandero. With an improved finish, an additional layer of foam allows intensive use. Colors and materials were inspired by equipment used in watersports. Fluorescent orange illuminate the dark carbon interior, while the seats, instrument and door panels recall wetsuit material. The versatile, buggy style KWID CONCEPT is packed with technology. Its twin doors are designed to open upwards like a butterfly. First equipped in a car, the flying companion captures high-definition real-time images. As a result, passengers can check out traffic status, take pictures of the surroundings or detect obstacles on their itinerary. The dashboard and instrument panel are placed in the center of KWID’s cabin and the driver seats in the middle of the front passengers. The gearshift is replaced by a command with touches next to the steering wheel. The vehicle’s robust, yet fun design, along with its technology-driven features, is targeted at meeting the needs of young customers to stay connected. Aimed at exploring new markets outside Europe, it is the first concept car cooperatively created by the brand’s design teams located in different countries, under the command of the RDAL in Brazil. Highly praised as one of the country’s best sedans, the 2015 Fluence is aimed at the segment’s demanding customers, with the modern 2-liter 16-valve Hi-Flex engine that delivers 143 horsepower on ethanol, the XTRONIC CVT automatic transmission and a comprehensive safety package, including the electronic stability control, ABS with EBD and up to six air bags. The 2015 edition of the Fluence stands out for its driving pleasure and technology features to improve everyday use, such as the exclusive walk away locking (WAL) function that allows locking doors and automatically retract side mirrors. This remote function is automatically activated without any interference of the driver, who has simply to move away from the car. The hands-free system allows opening the car doors and starting the engine without the need of using an ignition key. 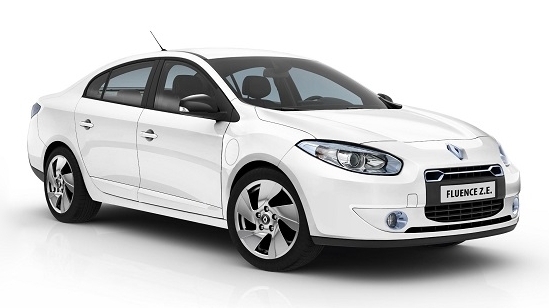 The 2015 Fluence has the modern and functional R-Link. The multimedia central comes with an integrated GPS and a voice-recognition system. The exterior design features Renault’s new visual identity, LED daytime running lights, new aluminum-alloy wheels and the unique body color Black Amethyst. Renault let the RDAL blow off steam with a design of how a GT Line version of the model would be, with aerodynamic equipment such as front and rear spoilers, side skirts, a diffuser on the trunk and an air extractor on the rear bumper for added sportiveness without exaggeration. The new design also features new 17-inch wheels. Renault is introducing the New Sandero Stepway at the São Paulo Motor Show. With a bold design, a good level of standard items and a taller driving position, it offers comfort and versatility for everyday use in large urban areas or for leisure activities during the weekend, thanks to a higher ground clearance. The model profits from its well-known trump cards, such as the best-in-class interior room and trunk space, in addition to the robustness and a three-year warranty. The New Sandero Stepway draws attention to its SUV-style, intrepid look and items that add boldness and refinement. The front end features an exclusive bumper for more character and conveys an idea of strength thanks to details in black and the lower part in silver. Fog lamps and black-masked headlights put the last touches on the front end’s design. Each side features bumper curves associated to the black side skirts, for more robustness and personality, enhanced by the 16-inch wheels. On the rear, an exclusive silver bumper with a lower black part, black-masked headlamps and bumper reflectors give the model a sturdy look. Dual-tone roof bars enhance sophistication. On the inside, the new comfortable, anatomic seats have exclusive stitches. The interior has subtle touches in orange, such as on seat stitches, side air vents, and dashboard, which also features a glossy black finish. 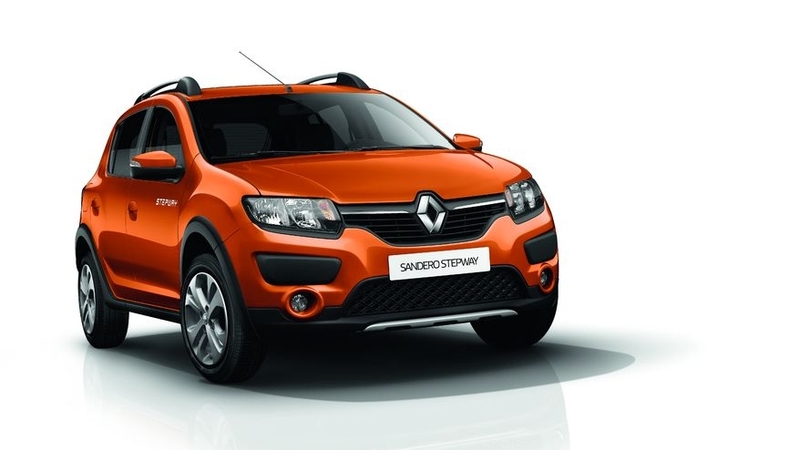 The steering wheel is marked by the “Stepway” name engraved in orange, for an enhanced look. The same goes for the central dashboard in glossy black. In the same way as the new Logan and Sandero, the RDAL contributed to the development of the new Stepway. 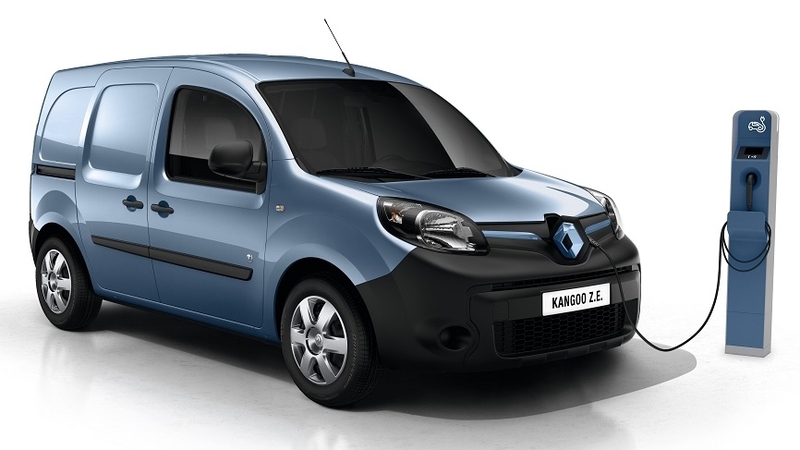 Offering smart, intuitive and easy-to-use solutions is Renault’s motto. For example, the new Stepway comes with a Media NAV 1.2 as a standard feature that integrates an in-dash seven-inch touchscreen with the new Eco-Coaching and Eco-Scoring functions, in addition to GPS, Bluetooth, radio, outside temperature display, and a pop-up screen with information about the automatic air-conditioning system. The Eco-Scoring function assesses the driver’s driving style in the end of each journey, taking into account gear shifting times, regularity of speed, fuel consumption and mileage driven. The Eco-Coaching offers fuel-saving driving guidance. The New Sandero Stepway has a cruise control as a standard feature that includes a speed limiter. The speed limiter allows driving at a steady speed, ensuring that the driver does not exceed the maximum speed at which road vehicles may travel on particular stretches of road. Even if the accelerator pedal is continuously pressed, the car does not exceed the speed limit previously set by the driver. In case of emergency, the driver just has to press the accelerator pedal firmly and fully to deactivate the speed limiter, which is quite useful when overtaking. Electrically powered side view mirrors and rear windows improve cabin comfort. These features were offered as an option for the previous versions of the model and they are now a standard feature. The Sandero Stepway is powered by the 1.6-liter 8-valve Hi-Power engine, with a five-speed manual or automatized EASY’R transmission. The engine delivers 106 horsepower on ethanol and 98-hp on gas, and a maximum torque of 15.5 kgfm or 14.5 kgfm, respectively. Torque is fully available from 1,500 rpm, ensuring agility and fast pick-ups. Developed by Renault Sport, the brand’s motorsports division, the Mégane R.S. is equipped with the powerful 2-liter 16-valve turbo engine that delivers 265 horsepower, with a six-speed manual transmission and limited-slip differential, improving sportiveness and performance. It currently holds the record for the fastest ever lap around the German circuit of Nürburgring by a front-wheel-drive production model. The Mégane R.S. has exclusive accessories and details, such as white Recaro seats, 19” aluminum-alloy wheels, high-speed driving tires, and generously dimensioned Brembo brakes. The legendary gold and black Lotus Renault F1 95T, powered by a V6 turbocharged Renault EF4 engine delivering 750 horsepower, is highly praised by motorsports enthusiasts, especially Brazilian fans. In 1985, then rookie driver Ayrton Senna won his first Formula 1 race with the same car at Portugal’s Estoril circuit, under heavy rain. Renault began its history in the highest class of single-seat auto racing with its own team in 1977, when it innovated with the introduction of turbocharged engines. In August 1982, the renowned Lotus Formula One Team ordered Renault turbocharged V6 engines, thus marking the start of Renault in the exclusive group of Formula 1 suppliers. Together with its research laboratories spread throughout the world, the brand benefits from its 35 years of expertise in Formula 1, with 12 World Constructors’ Championship and 11 World Drivers’ Championship titles. 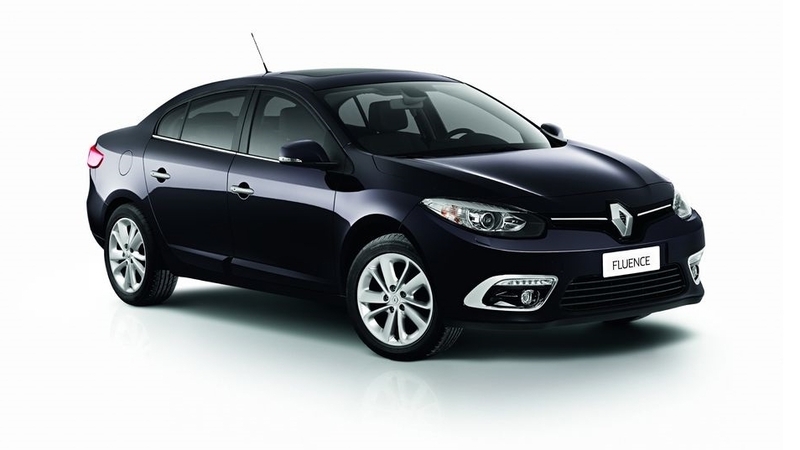 As in a timeline, Renault exhibits the first turbocharged engine of all times. From 1977 to 1986, the 1.5-liter 800-hp V6 powerplant won 20 titles and 50 pole positions. From 1989 to 2005, the 3-liter 930-hp V10 engine became a benchmark in F1 racetracks by winning 6 Drivers’ and 7 Constructors’ Championship titles, in addition to 85 victories and 97 pole positions. From 2006 to 2013, the 2.4-liter 750-hp V8 engine powered different teams, thus becoming a success story for its overwhelming performance and the achievement of 5 Drivers’ and 5 Constructors’ Championship titles, 60 victories and 66 pole positions. The all-new 1.6-liter 600-hp turbocharged electrified V6 engine is currently used by Red Bull Racing-Renault’s four-time drivers’ champion Sebastian Vettel. 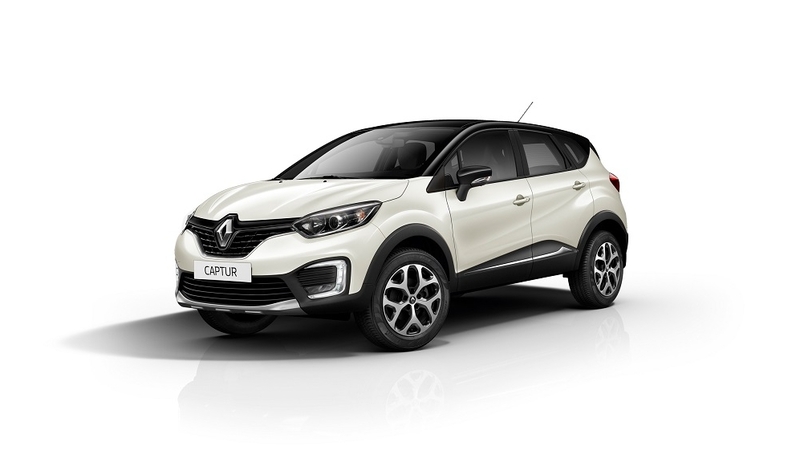 The current power unit known as Energy F1-2014 has the unprecedented MGS-K, a kinetic energy recovery system developed by Renault that recovers the vehicle’s kinetic energy under braking and powers an electric motor, ensuring a 160 horsepower boost when overtaking. The same technology that makes use of downsizing, energy efficiency, improved performance and reduced fuel consumption is also present in the brand’s production models. 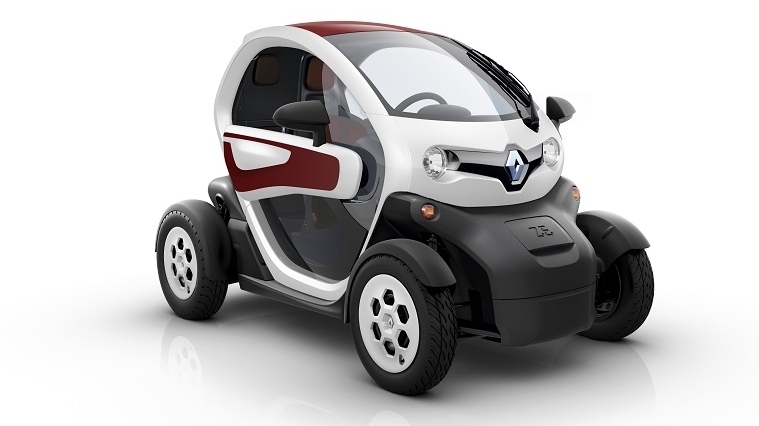 The Twizy Renault Sport F1 is more than an electric concept car. The model is an example of how it is possible to transfer technology from racecars to mass production vehicles. Based on the Twizy Z.E., the Twizy R.S. F1 has a distinctive style and the performance of a sports car, as well as innovations developed by the engineers of Renault Sport Technologies and Renault Sport in different European motorsports series. On the outside, the Twizy R.S. F1 has stabilizer wings, an air tunnel under the floor pan, slick tires and a rear diffuser with a built-in rain light, clearly demonstrating it was inspired by the highest class of single-seat auto racing. On the inside, the cockpit has a rollover protection structure, bucket seats, and F1-inspired steering wheel. In terms of mechanics, Renault innovated with the introduction of its pioneering F1-derived technology MGS-K, a kinetic energy recovery system, also known as KERS. The device recovers a moving vehicle's kinetic energy under braking. The recovered energy is stored for later use under acceleration, with a six-time power boost that makes the Twizy Renault Sport F1 turn into a small rocket, jumping from 17 to 97 horsepower, or an increase of 80 hp for approximately 13 seconds. The power increase helps it promptly achieve 110 km/h, with a 0 to 100 km/h time equivalent to that of the Mégane R.S., currently Renault’s fastest mass production model. For Renault, the future of EVs is now. In the framework of the Renault-Nissan-Alliance, the brand is a global leader in the sale of all-electric cars. Renault is showcasing its Z.E. range models, the ZOE compact and the commuter Twizy. Launched in 2012 in Europe, the models are being used in Brazil since 2013, thanks to collaborations signed with public and private organizations channeled into sustainable mobility projects, such as power distribution companies, city governments and public services. In three months of operation, the Curitiba Eco-mobile and the Brasília Eco-mobile projects have helped to reduce CO2 by 4 tons. 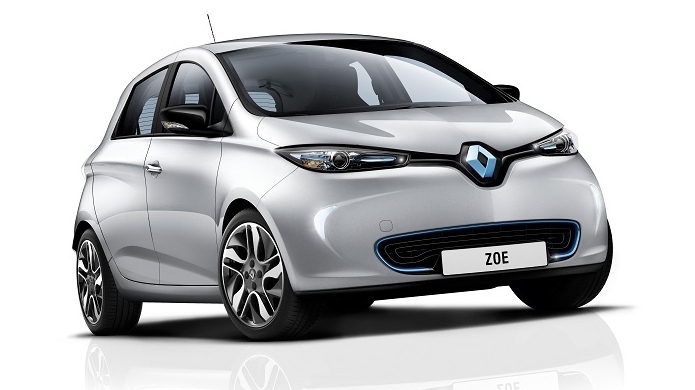 The 4-seater ZOE is a compact family hatchback that offers the same comfort and design of its ICE version. 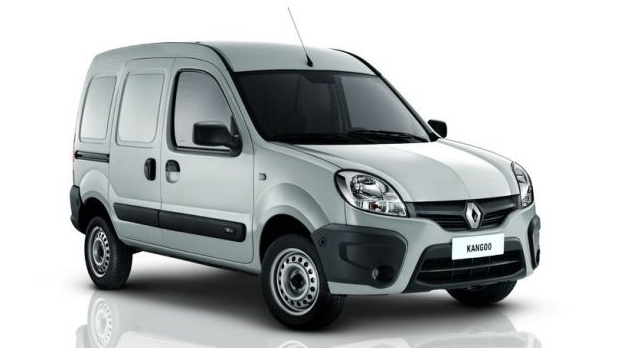 It is economical and provides an operating range beyond 210 kilometers. Its electric motor delivers 88 horsepower and 22.4 kgfm of torque. It can do 0 to 100 km/h in 13 seconds only. The model has a multimedia system with touchscreen and steering-mounted controls. Smaller and lighter, the two-seater Twizy was designed exclusively for urban use. Small, agile and versatile, it can be parked in any space – including at right angles to the curb. Lithium-ion batteries power an electric motor that delivers 20 horsepower and 7.1 kgfm of torque, for a maximum speed of 85 km/h and 100 kilometers of operating range. The Renault-Nissan Alliance is a global leader in zero-emission mobility, with more than 176 thousand electrically propelled vehicles sold worldwide. It is the only automotive group offering a complete range of all-electric vehicles, with an investment of 4 billion euros in the development of the technology. The successful Logan will have a limited series available at dealerships as of November. The Logan Exclusive has an automatic air conditioner, rearview camera with images displayed on its Media NAV 1.2, 15’’ alloy wheels, cruise control, leather-wrapped steering wheel and driver’s side one-touch power window. 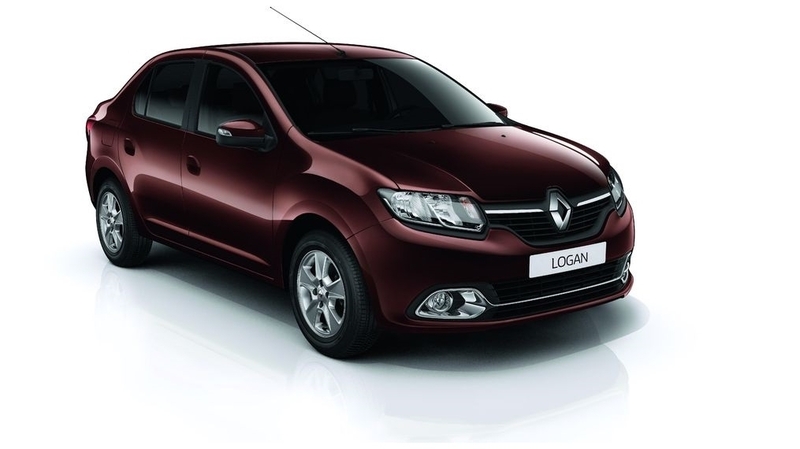 New features of the Logan Exclusive include dark metal wheels, side view mirrors in glossy black and the ‘Exclusive’ stickers attached to body sides. On the inside, the steering wheel features the ‘Exclusive’ name and the dashboard has a new, dark gray finish. With a 1.6-liter 8-valve engine, the Logan Exclusive is offered with a 5-speed manual or automatized EASY’R transmission. Available body colors are white, black, silver and gray. 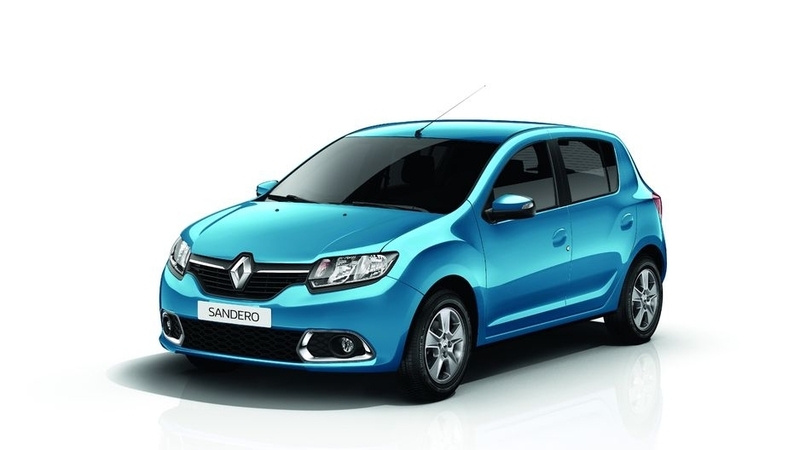 Sandero’s new generation was launched in July. Thirty days later, it was already one of the best-selling models in the domestic market. Visitors may check out two Dynamique versions showcased at the São Paulo Motor Show: one with a manual transmission and the other with an automatized EASY’R transmission. The Sandero is a benchmark in terms of robustness, with best-in-class interior room and trunk space, being praised by both families and young single customers, who look for a beautiful, practical and comprehensively equipped car. Thanks to the Media NAV 1.2, a multimedia central with built-in GPS, audio system, Bluetooth, Eco-Coaching and Eco-Scoring functions, the Sandero draws attention of technology enthusiasts who want to stay connected. The New Sandero introduced the Media NAV, air conditioning and cruise control in its segment, which accounts for 50% of the total car sales in the domestic market. 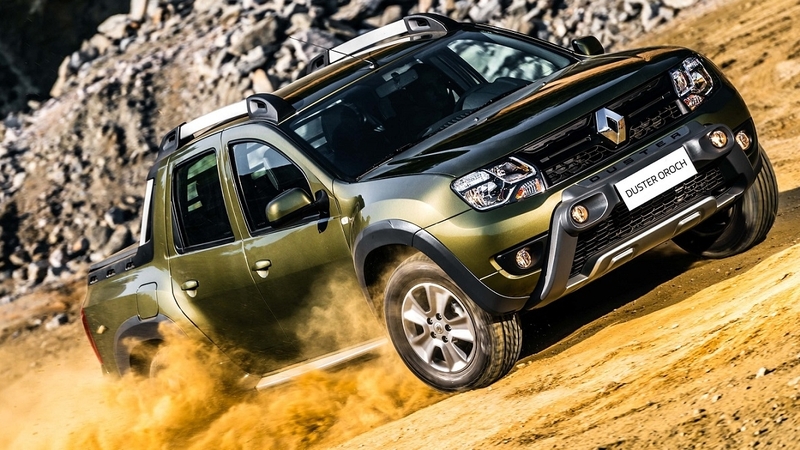 The Duster is one of the country’s best-selling compact SUVs, with approximately 140 thousand units sold. 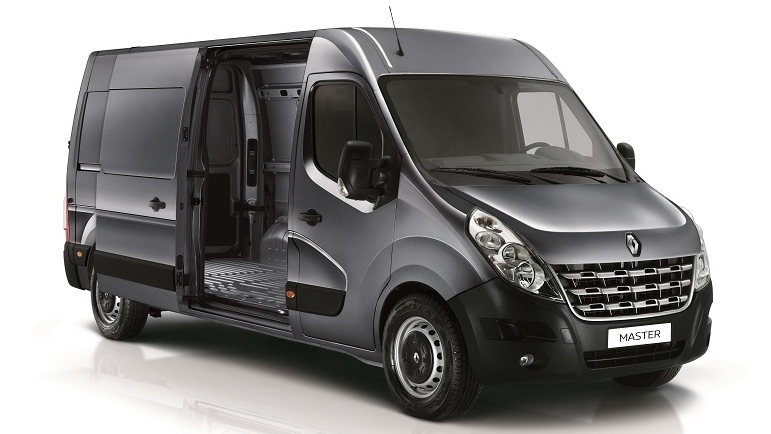 The 2015 range profits from its well-known trump cards, such as robustness, interior room, versatility and design. Renault is displaying the Dynamique AWB version to show off its off-road performance. The model is available with two powerplants, the 1.6-liter 16-valve Hi-Flex or the 2-liter 16-valve Hi-flex engine, with a 2WD or AWD, and a 6-speed manual or automatic transmission. Renault’s booth offers a wide range of merchandise items for the brand’s fans, including watches, t-shirts, shirts, coats and jackets signed Renault Sport, along with key rings, backpacks, and notebook cases featuring the brand’s logo. Scale models of electric and sports cars are also available, as well as children’s toys. First used for the Paris Motor Show in 2012, Renault’s ‘The Bump’ show stand concept was rewarded with a ‘Product Design 2013’ prize by the Red Dot Award jury, in the ‘Trade Fair Stand’ category, which figures among the design world’s most prestigious international prizes. The design concept of the 2,000-m2 booth is inspired by a value that all cars on display on the stand have in common motion. The idea was to translate the feeling of motion to a stand. Featuring two hills and a concentric vehicle layout, the vehicles spin on rotating platforms at the top. Depending on where viewers are standing, the vehicles can be seen from different sides, with a sensation of motion created by this three-dimensional layout. With a generously spaced, animated approach to the presentation of its range, the new Renault stand was designed for use at international motor shows around the world, including those in Geneva, Shanghai and Frankfurt.